Everyone loves a Happy Hour promotion. Usually it means getting off work and heading over to your favourite bar for cheaper drinks, or maybe a two for one in a great place to eat, but now with Joreels, you can experience a new kind of Happy Hour where you'll find yourself richer by ten free spins! So is the 9-5 routine grinding you down? Wouldn't it be great to come home and unwind with something special? Well let us show you how. Click to Play Now at JoReels Get 100% Match Bonus up to £50 + 10% Lifetime Cashback & 200 Points! New players only. Deposit required. Skrill & Neteller excluded. Bonus wagering 70x bonus amount within 30 days, Bonus Max Bet £5. Max cashout from a welcome bonus is 10x deposit amount. T&Cs apply. 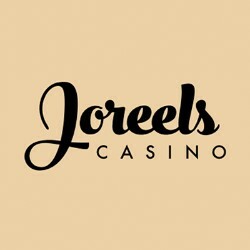 If you log onto Joreels everyday Monday to Friday, from 9pm to 11pm and play one of their qualifying slots games, you'll find 10 free spins waiting for you to use! To get your ten free spins, all you need to do is head over to one of Joreels qualifying games: Koi Princess, Butterfly Staxx, Jungle Spirit, Gonzo's Quest and Spinata Grande and deposit £20 of real money. Playing in that two hour window will mean you're rewarded with ten free spins to use in the same games. It's that simple! So, if you're not already a member at Joreels, what are you waiting for? When you make your first deposit, they'll double it when you sign up today! This promotion runs every week day (Mon-Fri) from 9pm to 11pm. Players must deposit a minimum of £20 to qualify for this promotion. Free spins are only valid for one day. There is a 49x wagering requirements on these free spins before you can withdraw any winnings.